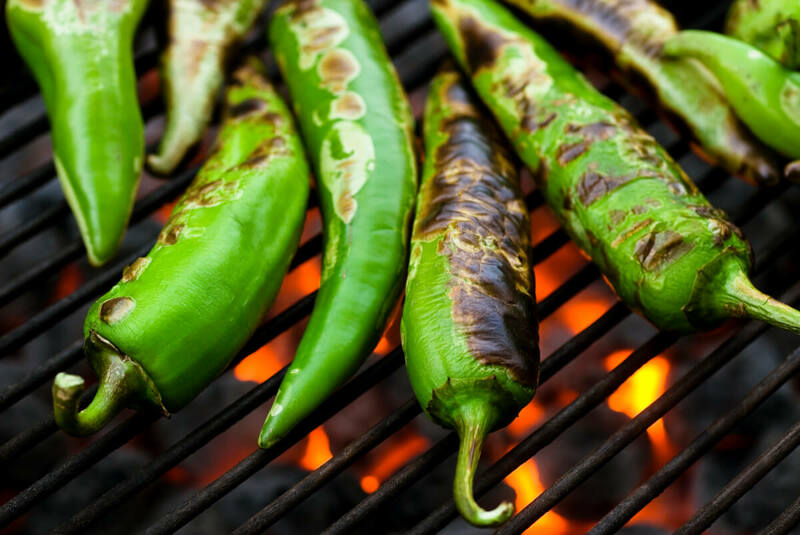 So now that you’ve seized the day and stocked up on Hatch chiles, it’s time to head on into the kitchen! When cooking, you have options, but we’d recommend roasting over open flame if possible. The broiler method is our second favorite technique! If you’re saving the spice for later, we’ve got you covered with how to freeze and secure your hatch chiles for up to one year. This is the preferred method but requires a gas stove and extreme attention and care. Turn on one of your burners to medium high heat. Keep chile in tongs or on long skewer and continuously rotate. Continue rotating chile with tongs until all sides are blistered and charred. Transfer chile to bowl and cover tightly with foil for 30 minutes. Remove from bowl, rinse under cool water and using fingers, gently peel or rub off charred skin. Place foil along baking tray. Sprinkle salt and place on the baking tray in a single layer. Remove when hatch skin blisters evenly on all sides. Cover with a secure air-tight lid to allow for steam build up. *If you’d like to save your hatch chile peppers for later, after cooling, place the chilis in vacuum packed freezer bags. *Remove as much air as possible for the best results. Peppers can be stored safely up to one year. When ready to use, take bag out of the freezer and let thaw out the night before.